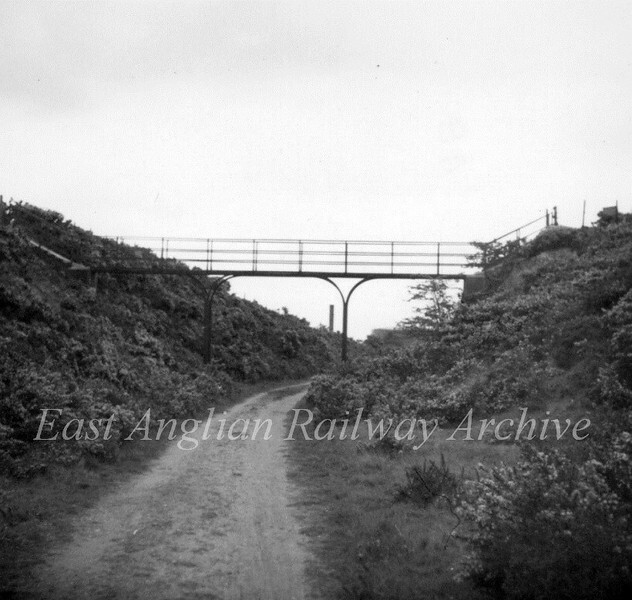 Southwold Railway, Suffolk. Bridge at Southwold Common carrying a footpath linking the golf course. This was the only cutting on the railway. Photo Brian Leighton.